If you have any information about these crimes or any person(s) involved, you are urged to call Crime Stoppers at 866-847-7669 (866-TIPS-NOW). You do not have to give your name. Crime Stoppers will pay a cash reward of up to $1000 for information leading to an arrest. 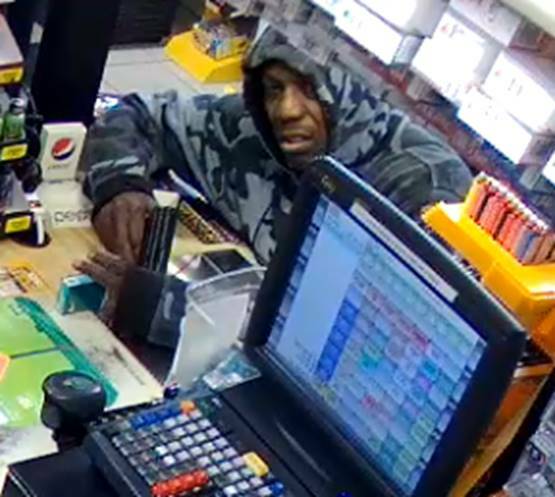 On April 7th, 2019, at approximately 4:25 PM, the depicted male suspect entered the BP gas station located at 342 N. Park Boulevard in Freeport, produced a black semi-automatic pistol, and demanded cash. The suspect was not given any cash, but fled from the gas station with a package of Newport cigarettes. The depicted male suspect was last seen running southbound on Park Boulevard. If you can identify the suspect or have any information about this crime please contact Stateline Area Crime Stoppers. Tipsters to Stateline Area Crime Stoppers always remain anonymous and may be eligible for a cash reward up to $1,000! Anonymous tips can be submitted on the Stateline Area Crime Stoppers P3 Mobile phone app, online at www.statelineareacrimestoppers.com, or by telephone at 866-847-7669 (TIPSNOW). The Freeport Police Department case number for this investigation is: 19-6361. 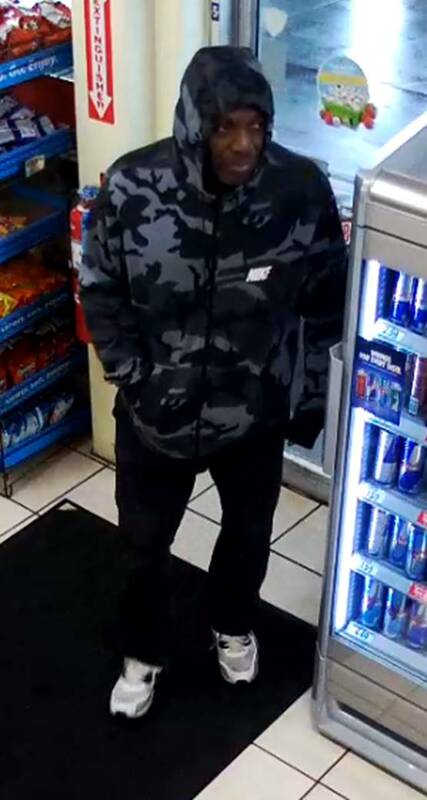 The Freeport Police Department needs assistance identifying the depicted subject in connection with a retail theft that occurred at the Cub Foods grocery store on April 1st, 2109 at approximately 4:00 PM. If you can identify the depicted subject please contact Stateline Area Crime Stoppers. Tipsters to Stateline Area Crime Stoppers always remain anonymous and may be eligible for a cash reward up to $1,000! Tips to Stateline Area Crime Stoppers can be submitted by using the "submit a tip" button connected to this post, by telephone to: 1-866-TIPSNOW, or by using the P3 mobile phone app. The Freeport Police Department is investigating a Retail Theft incident that occurred on 2/27/19. 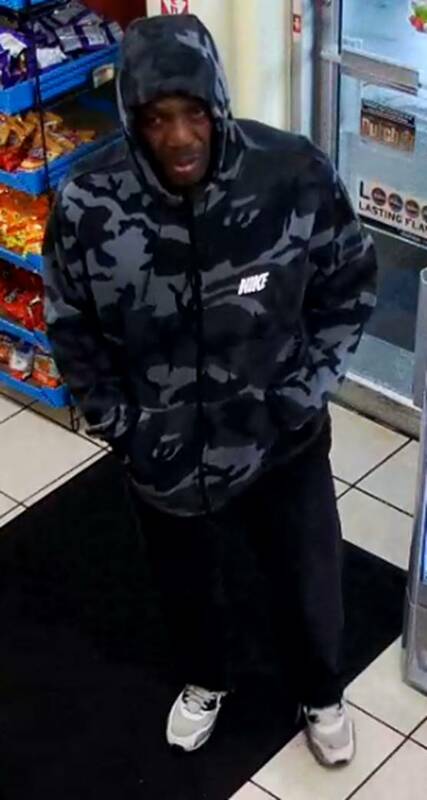 The suspect was described as a stocky black male wearing a dark colored stocking cap, gray sweat shirt, gray sweat pants and a light colored pair of Nike Air Monarch shoes. Any information on this incident can be directed to Stateline Area Crime Stoppers (866) 847-7669 or to Freeport Police Department Detective Sgt. Chris Shenberger (815) 235-8231. UPDATE: The male and female suspects have been identified. The Freeport Police Department needs assistance identifying two subjects as part of an on-going investigation involving counterfeit $100 bills. On Sunday February 24th, numerous counterfeit $100 bills were presented for payment at fifteen (15) different businesses located along South West Avenue and along West South Street in Freeport. Video surveillance footage is still being analyzed, but right now it is believed that the two subjects described below were working together to perpetrate this fraud. Subject #1 – A short heavy-set White female with long straight auburn colored hair wearing a black Adidas jacket and dark gray yoga pants. Female subject was carrying a white wristlet style purse. Subject #2 – A tall thin Black male with long dreadlocks wearing a black stocking cap, gray sweatshirt with white hood strings, dark color pants, and tan work boots. It is believed that these two subjects were using a newer model gray or silver Hyundai Tucson SUV, and one witness described a dent located in the area of the front passenger side wheel well. The majority of the counterfeit bills involved in this case were serial number: FF92727388B, and there were two bills with serial number: HB86930870G. Additional information and images may be added at a later time as more video surveillance is obtained. Anyone with information about this case is urged to contact the Freeport Police Department Detective Bureau at 815-235-8226, or Stateline Area Crime Stoppers at 866-TIPSNOW. Anonymous tips can also be submitted to Crime Stoppers on the P3 mobile phone app, on the Stateline Area Crime Stoppers website, and by using the “Submit a Tip” button on the Crime Stoppers Facebook page. Tipsters to Stateline Area Crime Stoppers always remain anonymous and may be eligible for a cash reward up to $1000. 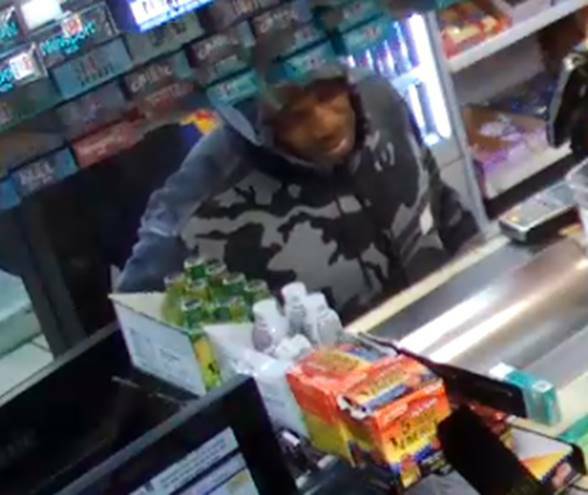 On 2/15/19, the Freeport Police Department investigated two incidents where individuals passed counterfeit $100.00 bills (serial HB86930870G) at food establishments in Freeport. The first incident occurred at 4:26 PM. The suspect, a 5'4" tall black female with a thin build, pink hair and pink nails presented what was later to be determined as a "washed" $10.00 bill. The female ordered $9.06 worth of food, received change and left without claiming the food order. The female entered a maroon Dodge Caravan with Minnesota registration BEH977. It was later determined that this van was rented from Enterprise at 5950 N Western, Chicago. The second incident occurred at 8:13 PM. This time, a white male with short dark hair and a thin beard entered with a heavy set white female who had her hair in a pony tail. The couple ordered $15.82 worth of food and received change. The $100.00 that was presented had the same serial number as the other bill. The couple received their change and food order and left (transportation unknown). On December 19, 2018 the Stephenson County Sheriff`s Office responded to a burglary in the 7000 block of RT 73 North near Lena, IL. Entry was made into the residence and most of the Christmas Gifts were taken from the residence. Also on December 19, 2018 the Sheriff's Office also responded to the 12000 W. Raders Rd. near Pearl City, IL for another residence that entry was made into. The Christmas Gifts were also taken. Anyone with information concerning these, please call the Stephenson County Sheriff's Office at 815-235-8257 or Stateline Area CrimeStoppers at 866-847-7669. If you see anything suspicious at any time, please call the Stephenson County Sheriff's at 815-235-8252 Ext 7 for dispatch or call 911. On January 15, 2017, the Stephenson County Sheriff`s Office responded to a burglary in the 5000 block of Beaver Rd near Freeport, IL. Entry was made into the residence by unknown subjects and the following items were taken. Anyone with information concerning this burglary, please call the Stephenson County Sheriff’s Office at 815-235-8257 or Stateline Area CrimeStoppers at 866-847-7669. Story given by the Rockford Register Star about Stephenson County Crimestop was inaccurate and a correction was asked of the Rockford Register Star. The above items were taken from the Lancaster Township Garage. It appeared that no items were taken from the garages and sheds, except for the Lancaster Township Garage. There were a total of six (6) burglaries (including the Lancaster Township Garage), five (5) of them were all within a quarter mile south of the Lancaster Township Garage and along the Illinois Route 75 North corridor. The sixth was in the area of River Road and Hillcrest Road (in the 700 block of Hillcrest Road) which is 1.4 miles further south and east by way of road travel. Anyone with information concerning these burglaries, please call the Stephenson County Sheriff’s Office at 815-235-8257 or Stateline Area CrimeStoppers at 866-847-7669. Hit and Run on U.S. 20 by Tingle Rd. The Stephenson County Sheriff`s Office is looking for information about a hit and run accident that occurred on June 15, 2015 at about 714am on RT 20 about .2 mile West of Tingle Rd (Between Lena and Stockton). A newer style white vehicle possibly a Chevrolet Monte Carlo or Malibu was Westbound RT 20 and attempted to pass other vehicles. The white vehicle struck another vehicle as it was passing causing a chain reaction crash with a third vehicle. The driver of the white vehicle fled the scene in the vehicle and was last seen westbound RT 20 from the accident scene. Both driver`s of the other two vehicles required medical attention and were taken to Freeport Memorial Hospital. The suspect vehicle may have front driver`s side fender damage. Please call the Stateline Area Crime Stoppers at 1-866-847-7669 or the Stephenson County Sheriff`s Office at 1-815-235-8252 if you have any information about this case.